After explaining some of the language and history of the amendment to the U.S. Constitution, Mitchell said it was designed to protect people from the government itself. “We can’t allow the Second Amendment to be watered down, because the minute it does, our rights to protect ourselves become useless,” Mitchell said. Also addressing the crowd was Nicholas Sarwark of Arizona, who is chairman of the Libertarian National Committee and is currently running for mayor of Phoenix. 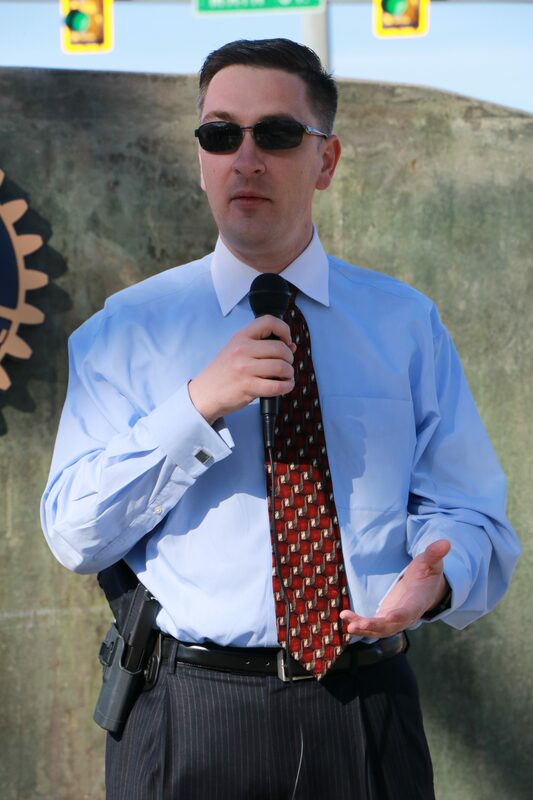 Sarwark said the personal decision to carry a gun should not be based on violence. 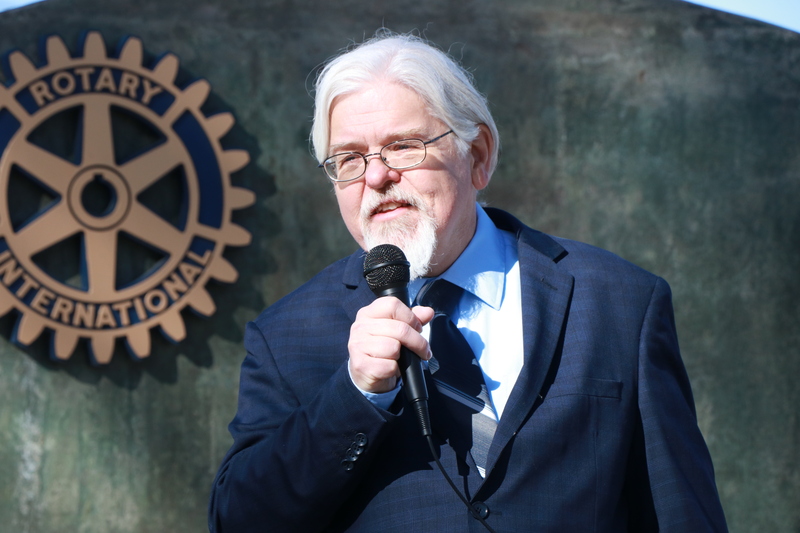 Jeffrey Whipple, who later on Saturday won the Utah Libertarian Party’s nomination to challenge Republican U.S. Rep. Chris Stewart in his bid for re-election for Utah’s second congressional House district, also addressed the crowd. “There has to be the right to keep and bear arms,” Short said. Following the handful of short speeches, members of the crowd lingered for another half hour or so, visiting with each other and showing off their firearms to one another. Some carried pistols in their belts, while others showed off vintage rifles. A few hours after the morning rally, Libertarian Party members met at the Courtyard Marriott Hotel in Cedar City, nominating several candidates for local, statewide and federal races. 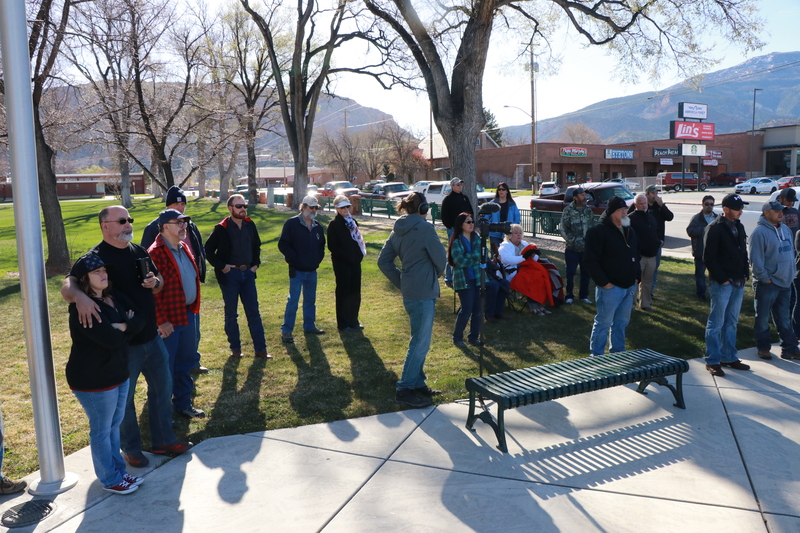 Utah State Libertarian Party secretary Justin Bake, who is running for Tooele County Commissioner, said it was the first time in many years the party has chosen to hold its statewide convention in a place other than Salt Lake City. I don’t understand the use of the word “civilian” in this article. Learn more at OpenCarry.org. And carry on! Kent Mitchell is a military veteran and perhaps is using the term to distinguish the role from which he teaches gun safety – in his capacity as a civilian not as a military veteran. Notice the term is used in his direct quote. I hope that helps and appreciate your attentive eye as terms do matter. Can 50 people really be called a “rally”? No matter the group or the cause…a gathering maybe, but a rally?